The Stanley 6-Inch Classic 99 Retractable Utility Knife starts sharper and stays sharper than standard heavy-duty blades. This knife features a patented interlocking nose to hold the blade securely. The three-position, retractable blade can be stored in the handle. 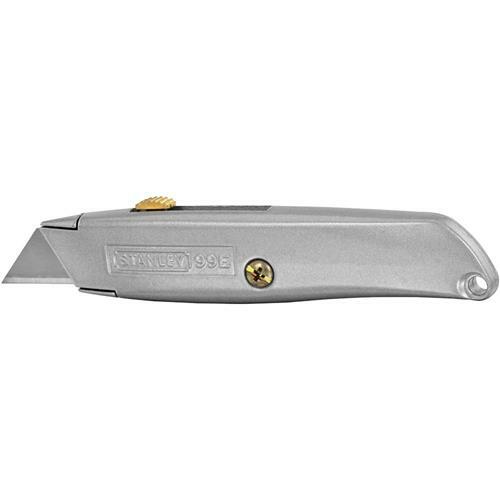 This knife includes three blades and comes with Stanley's limited lifetime warranty.